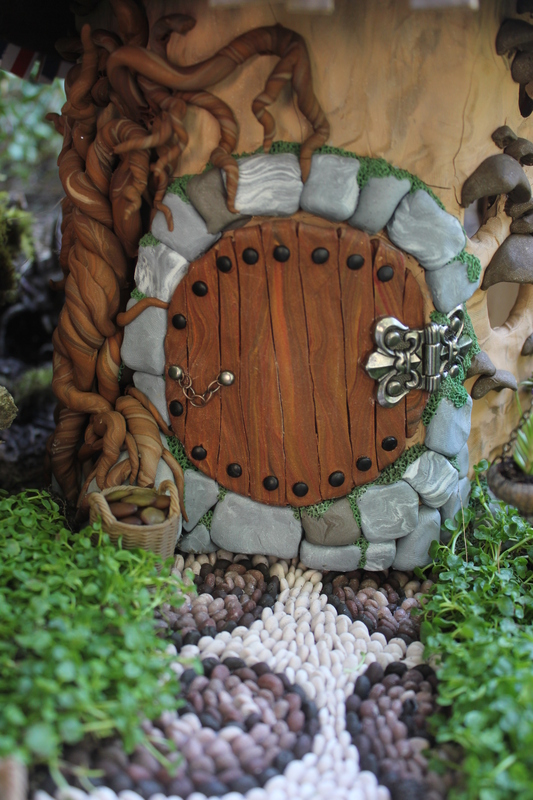 I started this hobbit house over a year ago, with the hope to make a durable and weather resistant decoration for my fairy garden. My Dad created the frame from wood, which was nailed to a hexagonal base. I then put polymer clay around the entire frame, adding details as I went along. I made the top out of a few pieces of cardboard, then paper mache’ed (is that a word???) around them. Finally I added miniature shingles created from a box I had painted. The top lifts off, which makes it easy to transport. 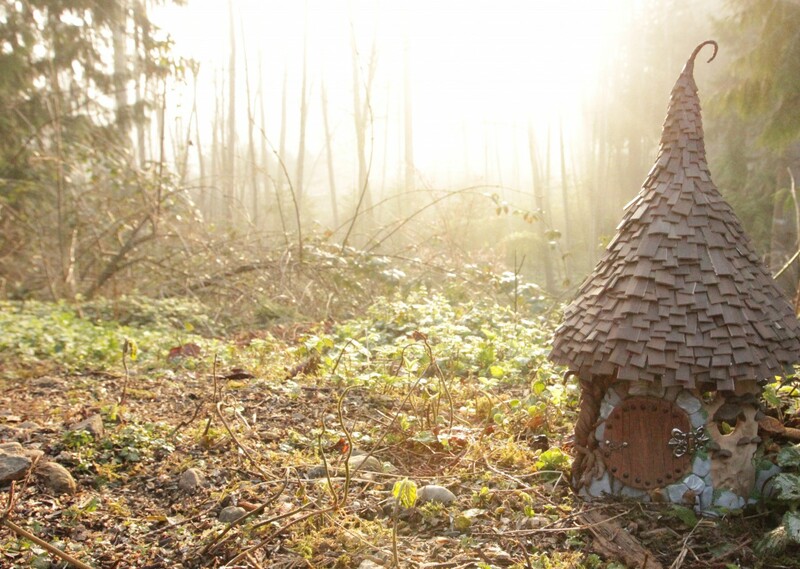 In the end, the hobbit house was not as waterproof as I thought it would be. The wood shrinks and swells with the natural humidity in the air, so I can’t leave it in the fairy garden if it looks like it is going to rain! I’ll have to keep brainstorming how to make it more durable! 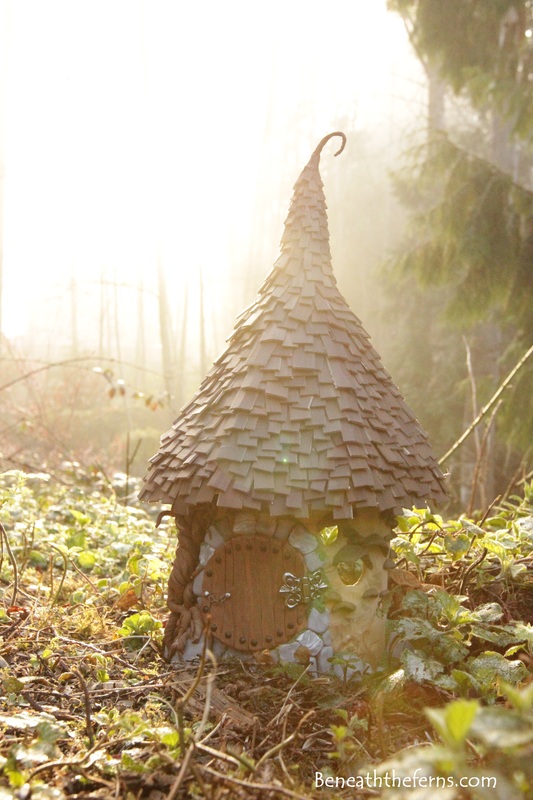 Thanks for reading, and click HERE to see more pictures of the hobbit house with the garden path in front. What if you coated it with an exterior polyurethane ? That’s a good idea Deb! I had never used polyurethane before I made this, so now that I know it exists, I can experiment with it!